It's March already. Two months of the year 2017 are gone. 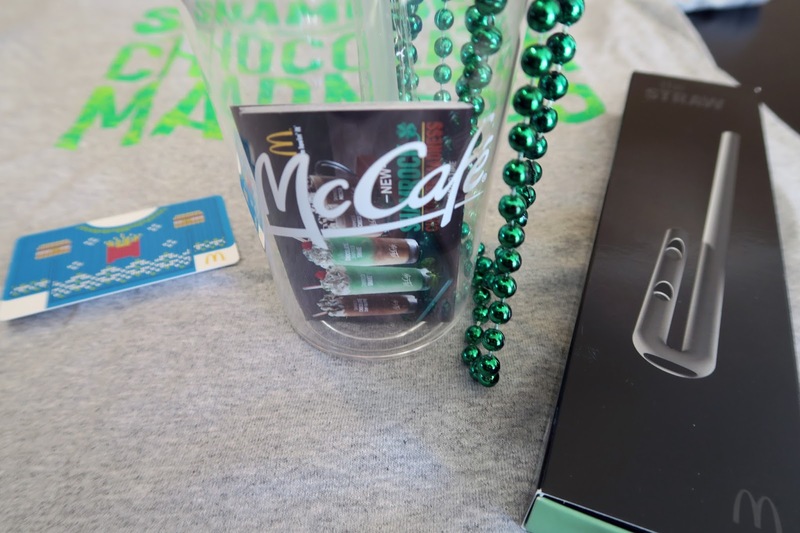 March ushers in spring, March Madness, Lent, St. Patrick's Day and Shamrock Shakes! McDonald's has some new and innovative things happening around the Shamrock Shake this year. For a limited time McDonald's is offering the Chocolate Shamrock Shake, adding chocolate to the classic minty flavor. In addition to the new flavor there is a new way to DRINK the Shamrock Shake, the STRAW (Suction Tube for Reverse Axial Withdrawal). the STRAW was created specifically for effectively drinking Shamrock Shakes. 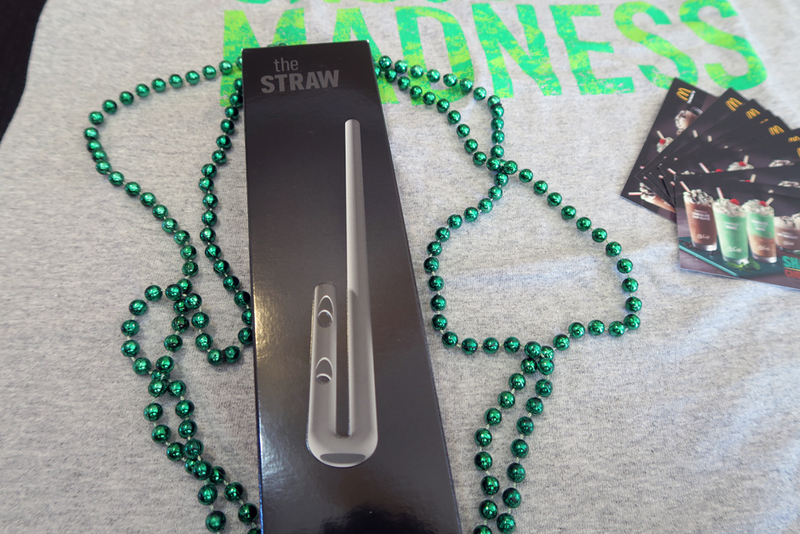 Only 2,000 of these innovative straws were manufactured and guess what? McDonald's sent me two, one for myself, and one to give away to one of my lovely readers along with some other goodies. I love celebrating St Patrick's Day in March - and Shamrock shakes are an essential part of our family's tradition! My favorite thing about March might be St. Patrick's Day, or the fact that the weather is warming up. My mom is Irish so St. Patrick's Day is a big deal to her, haha. 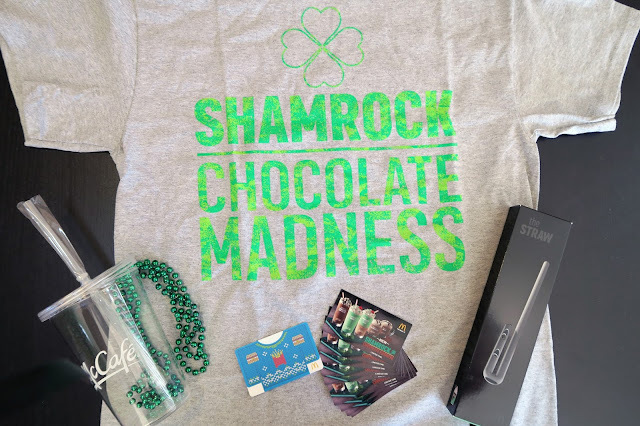 :) I'm excited to try the chocolate Shamrock Shake though, and that straw looks pretty cool! My favorite thing about St. Patrick's Day is a shamrock shake! My favorite thing is getting as far away from cold, winter weather as possible! Haha! My favorite thing about March is St. Patrick's Day! Oh my goodness, a chocolate Shamrock Shake???!! That sounds so delicious! I want one!!! I love this prize pack too - so fun! I love the warmer weather, a sneak peek of spring that is the best thing about march. My favorite thing is the pretty flowers starting to bloom! I am OBSESSED with Shamrock Shakes, so this is VERY exciting. When I lived in D.C., I actually wrote McDonald's a letter of complaint about the fact that none of their District stores sold them! My favorite thing about March, aside from Shamrock Shakes, is the weather warming up, the flowers starting to bloom, & the increasingly ability to be outside without a jacket. Welcome, spring! I love St. Paddys Day and March also brings us Shamrock Shakes!! I love that it's all about green. My favorite color. I love that my tulips are starting to bloom!